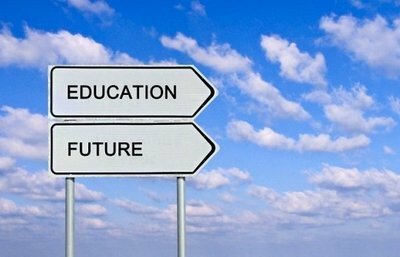 What Does the Future Hold for Online Education? Last month, The Open University (OU) announced that it would be closing seven of its nine regional centres in the UK, sparking an outcry amongst many of those affected. The OU board of directors claims that such drastic change is needed in order to accommodate the shifting demands of students and development of technology in education, and is not due to mounting financial concerns. OU students, they say, tend to study for career enhancement and already be in work, and thus often do not have the time or interest in actually visiting regional centres, particularly when all the information needed and – more importantly – support is readily available online. The closure of seven centres would apparently free up £5m of their £400m budget and subsequently enable the institution to invest more money in responding to student queries more quickly and outside of traditional working hours. However, the closure of seven regional centres would inevitably mean that more vulnerable and disadvantaged students, who’ve invested in an institution that promises ‘distance education delivered locally’, would no longer be able to pop in to their nearest centre and receive the face-to-face reassurances they often rely on. It would also mean the loss of around 500 jobs; jobs devotedly undertaken by staff who are now seeing the values and ethos of the institution “being torn apart”. But, as a one-time leader in distance learning in the UK, the OU is suffering the effects of seismic changes brought about by technology, and the subsequent opportunities it has created for newer distance learning institutions. Thus, many critics – whether students, staff or otherwise – have asserted that falling student numbers and growing deficits are the more likely reasons for the proposed closures. In recent years, Massive Open Online Courses (MOOCS), have become incredibly popular. Three years ago, Clay Shirky, a professor at New York University and commentator on internet technologies, predicted in his article for The Guardian that “a revolution in higher education would be brought about by MOOCS, which are free to anyone in the world with access to a computer”. He compared their likely effect to that of Spotify on the music industry, or Airbnb on the hospitality industry, forecasting they would “cause some traditional institutions to flounder while opportunities would emerge for people ill-served or shut out of the current system”. With the forced re-structuring of institutions as significant as the OU, it seems Shirky’s calculated prophecy is already turning into a reality. In fact, many traditional institutions, the OU included, have embraced the trend rather than battle it senselessly. Last year the OU invested a reported £10m in the Mooc-class enterprise FutureLearn, which recently celebrated its five millionth enrolment – an investment the OU claims was one the main causes of the loss made last year. Students enrolled in distance learning courses know what they are getting themselves into when they sign up; long periods of isolation requiring hard graft, a high level of learner autonomy and a willingness to surrender a large chunk of their social life. It’s generally accepted that there will be no sense of physical community on the course. Online communities such as Facebook groups may prove useful for discussions and answering/responding to queries, but one could argue that for vulnerable, inexperienced learners perhaps it would help a great deal to have already met their peers in person before speaking up. When institutions as influential as the OU are closing down its regional centres it seems pretty clear that the opportunity to meet other students in person is shrinking fast, as is the broad idea that a greater percentage of learning (formal and informal) takes place offline. With the advent of MOOCS, rapid advancement in technology and tuition fees that don’t look set to budge, higher educational institutions throughout the UK may move to adopt a more ‘distance learning’ approach in the not-too-distant future. Partnerships and mergers with publishers, technology companies, and learning providers will probably begin to consolidate the marketplace, and alternative higher education courses will become better value for money. Traditional institutions will lose out if they don’t adapt. Whatever the future holds for online education, it seems one thing is certain: education, from lecturing and conducting seminars to basic reading and handing in essays, will take place almost entirely online. In other words, the line between ‘traditional’ and ‘distance’ learning will become increasingly thinner, until, perhaps, distance learning will just be ‘learning’. Struggling with the workload on your distance learning course? Check out our post on top time-management tips for distant learners.